Folding hockey goal with integral wheels. 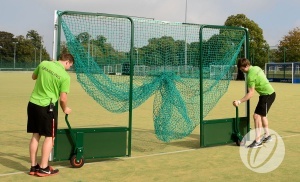 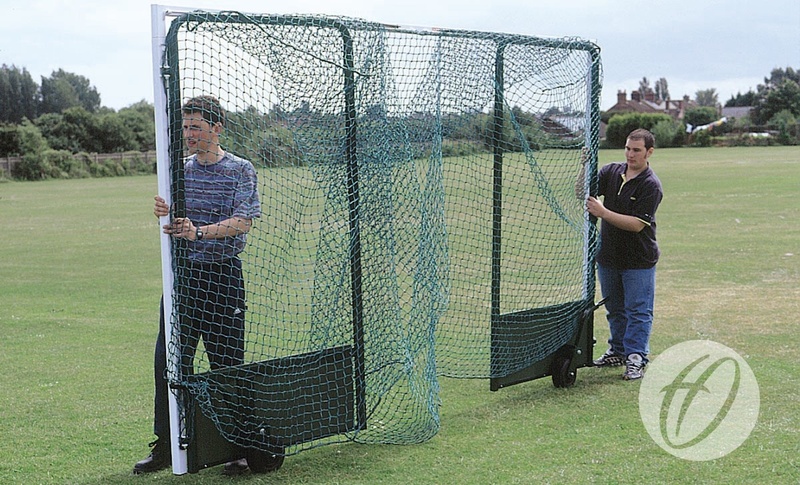 Simply lift out the backboard, engage the wheels and the goal is ready to be moved by two adults. Heavy duty hinged folding side frame with large rubber wheels and robust handle. 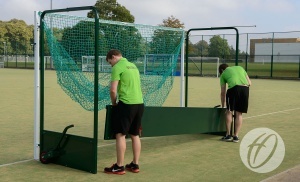 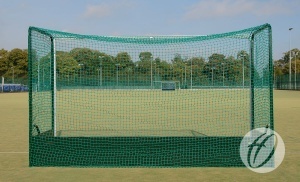 Uprights and crossbars feature aluminium retaining rods to ensure net is held firmly in position. 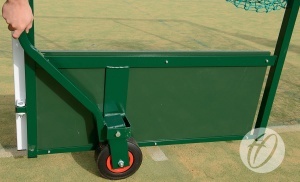 Hinged folding side frame manufactured from 25mm square steel. 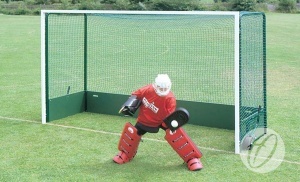 460mm high x 18mm regulation wooden backboards. 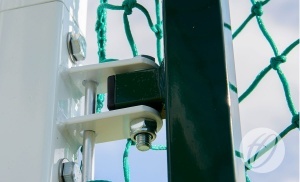 Polyester powder coated white, excluding side frame which is green. Must be anchored at all times. 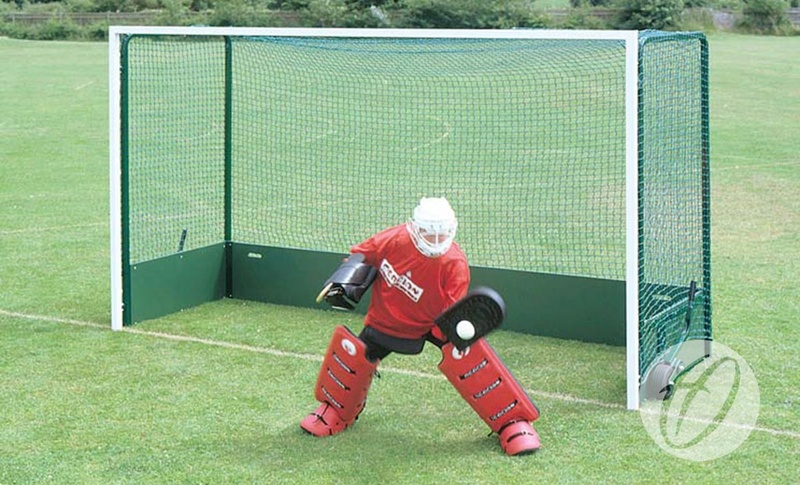 A: When folded the goal is 237mm wide.